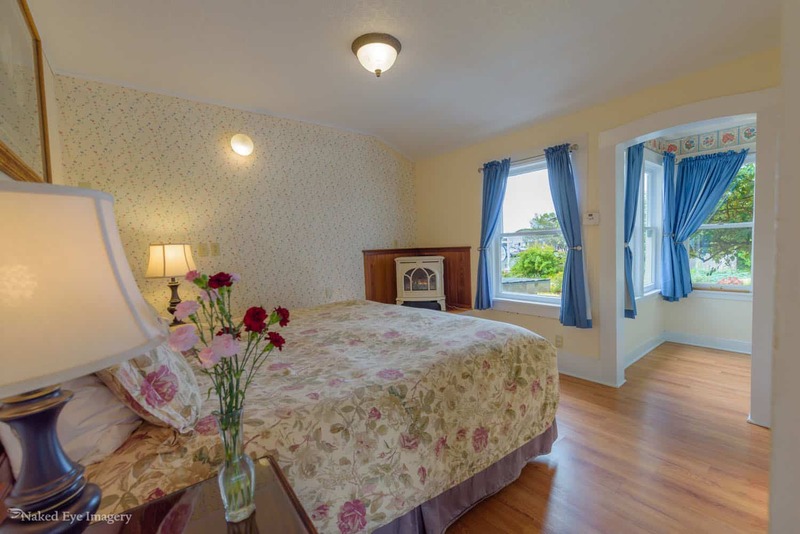 The Country Suite is a ground-level suite with a king size bed with a gas fireplace in the bedroom. 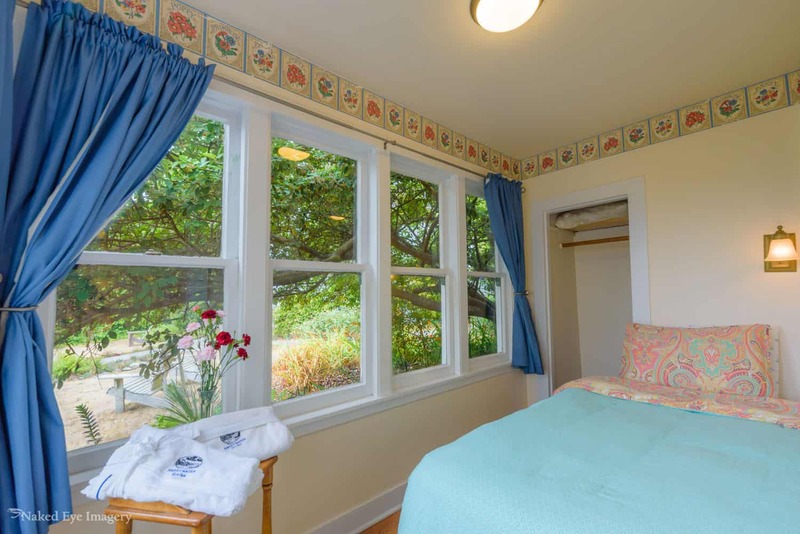 It also has a twin bed in the adjacent sleeping alcove for an extra person, as well as a sitting room with a couch, and a kitchenette and table with chairs. The private bath has a tub and shower. As with all our lodging, the Country Suite has a flat screen TV, telephone, Wifi, and Spa Robes, and is stocked with organic Big River coffee and tea. Convenient parking is located close to the private entrance. 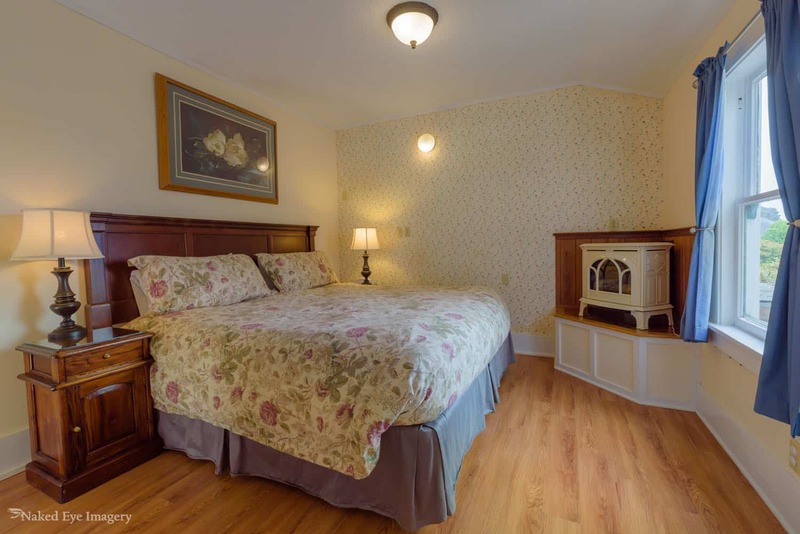 The Country Suite is a ground level suite with a king size bed with a gas fireplace in the bedroom. 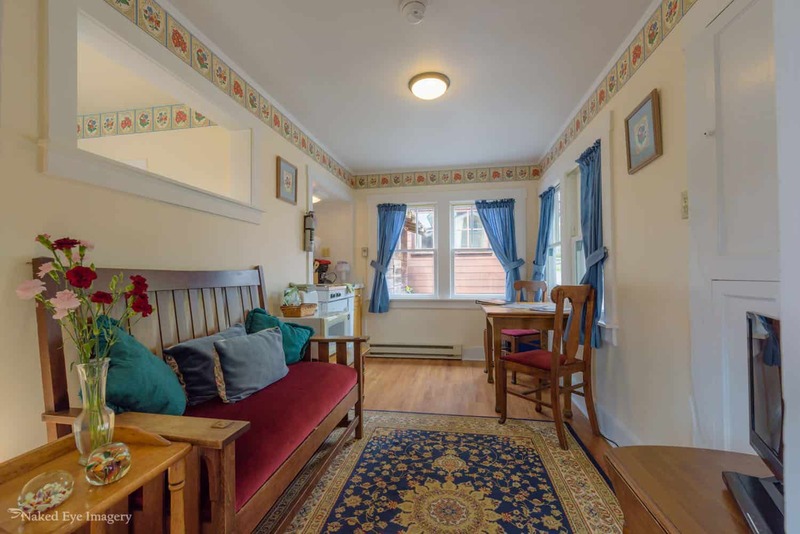 It also has a twin in the adjacent sleeping alcove for an extra person as well as a sitting room with a couch and a kitchenette and table with chairs. 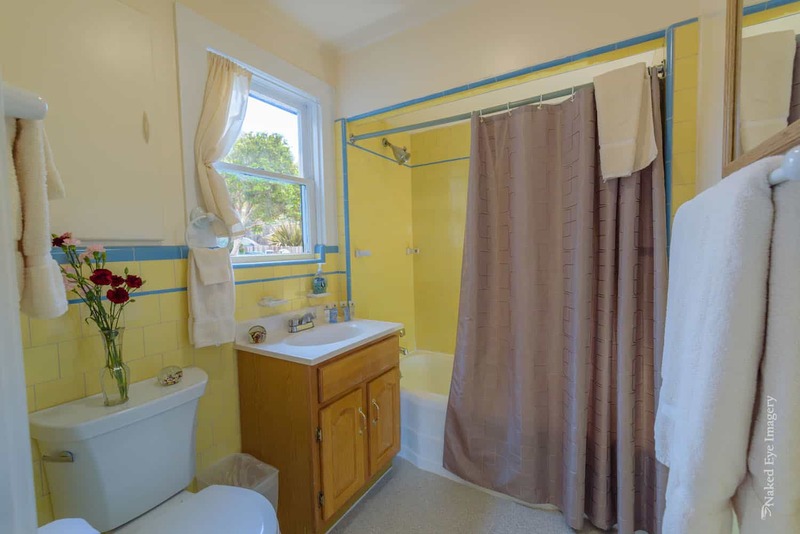 The private bath has a tub and shower. As with all our lodging the Country Suite has a flat screen TV, telephone, Wifi, Spa Robes, and is stocked with organic Big River coffee and tea. Convenient parking is located close to the private entrance.